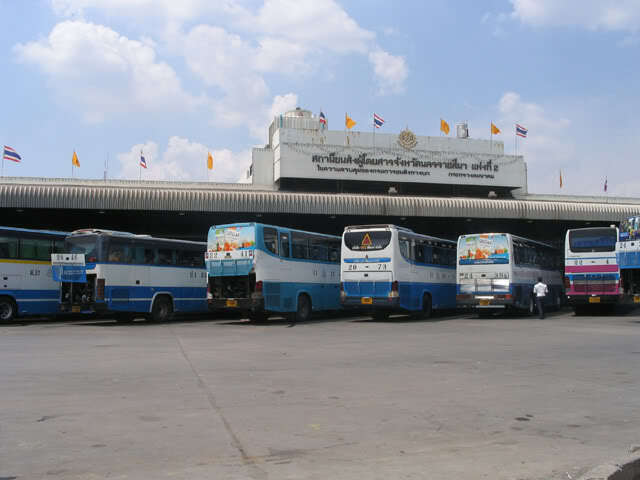 Mor Kor Sor 2 is the major transportation hub of Korat. About all long distance busses go here or leave from here. Its very close to the city, but not in the city itself, one has to take a city bus or taxi to get to most downtown locations. There is also an old bus station (Mor Kor Sor 1), which is located about 1 km away directly in the city. Some long-distance busses do go there. To avoid confusion it is advisable to ask first, where in Korat the bus goes. For example there are busses from Mor Chit in Bangkok that go to either the new or the old bus station in Korat, but they are both the blue line 21.